The Greenhouse will go where our garden was last year. 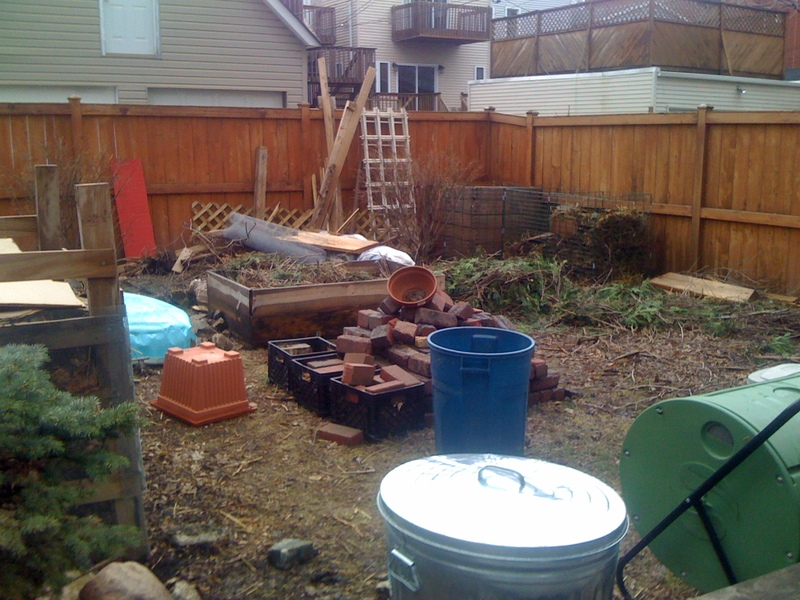 In an effort to produce more of the food we consume and to extend the growing season here in Chicago, we are planning on building a greenhouse in our back yard. 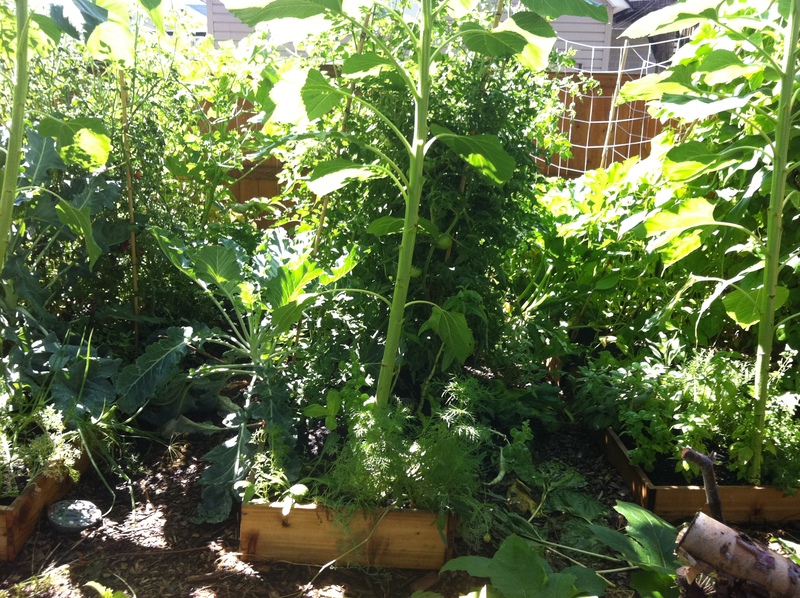 We have roughly 600 to 700 square feet on the south end of our back yard we can use, which is also the part that gets the most sun. There is a little shade obstruction in winter as the sun sits low in the southern sky, but generally gets pretty good sun throughout the day. In trying to be smart about the design of the greenhouse, I have spent some time looking at different designs both on commercially available manufacturers of greenhouses as well as DIY designs on YouTube and other internet sites. Like anything, there are a lot of plus’ and minus’ of the different designs. So, the trick in my mind is to find one that works best for our budget, goals and site. This is the space the green house will go in. Should work out great. My first choice would be to use re-purposed materials from a place like the Rebuilding Exchange. While walking through their warehouse, I saw lots of glass doors, windows and other used material that seem like could be great building stock. The problem is, I’m not known for my carpentry skills, so I have to acquire them some how, whether it’s by trial and error or getting some help from others. One big help was the AUA Google Group (Advocates for Urban Ag). I posted a question asking if I used re-purposed glass, if I needed to make any special considerations for light. I got a slew of responses relating to everything from feedback on the glass to thoughts about they type of wood to look for (wood that can better handle humidity), what to try to avoid (older material potentially containing lead paint) to offers to help with the design and construction. The power and knowledge of a community can sometimes be awe-inspiring. Durability. Even though it is a temporary structure, I need to be sure it holds up to snow loads and any reasonable wind. And in general, it just needs to last. If we can build it right the first time, it should last years with only minimal maintenance along the way. Space conditioning. Plants (especially garden plants) tend to do best in a narrow range of temperatures then is found seasonally in Chicago. If they are under glass in the summer, they could get too hot and in the winter, we want to do our best to keep the heat in. Water. Trying to figure out the best way to harvest all of the rainwater that lands on the structure, lands on the adjacent garage next door and watering when rainwater is not available. Layout of the growing beds. What is the way to get the most out of the footprint, but also make it easy to access for easy plant care and harvesting. Aesthetics. We’d like to make sure that it was pleasant or even provided inspiration (or at a minimum people didn’t think it was ugly) for others. What else haven’t we thought about? What else should we consider? This is part one of the series on: Conceiving, Designing and Building a Greenhouse.